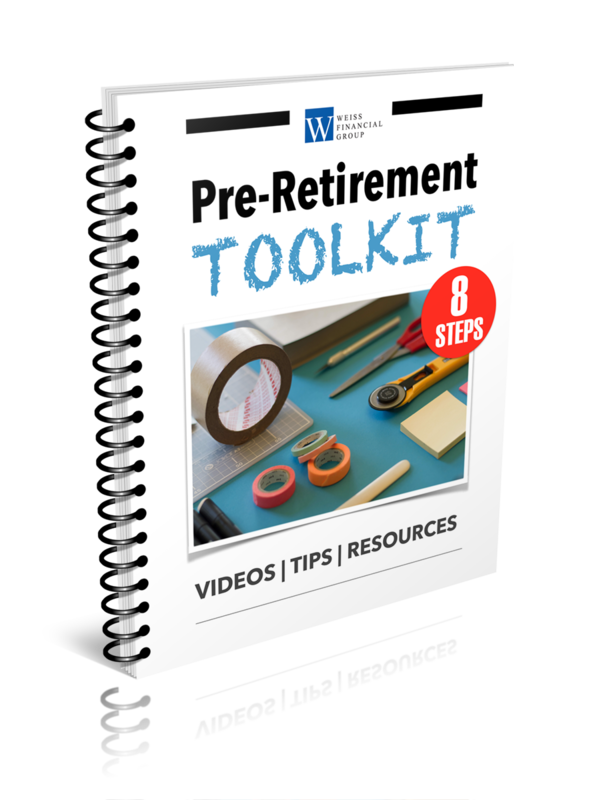 You can prepare for your retirement transition years before it occurs. In doing so, you can do your best to avoid the kind of financial surprises that tend to upset an unsuspecting new retiree. 1. How much monthly income will you need? Look at your monthly expenses and add them up. (Consider also the trips, adventures and pursuits you have in mind in the near term.) You may end up living on less; that may be acceptable, as your monthly expenses may decline. If your retirement income strategy was conceived a few years ago, revisit it to see if it needs adjusting. As a test, you can even try living on your projected monthly income for 2-3 months prior to retiring. 2. Should you downsize or relocate? Moving into a smaller home may reduce your monthly expenses. If you will still be paying off your home loan in retirement, realize that your monthly income might be lower as you do so. 3. How should your portfolio be constructed? In planning for retirement, the top priority is to build investments; within retirement, the top priority is generating consistent, sufficient income. With that in mind, portfolio assets may be adjusted or reallocated with respect to time, risk tolerance, and goals: it may be wise to have some risk-averse investments that can provide income in the next few years as well as growth investments geared to income or savings objectives on the long-term horizon. 4. How will you live? There are people who wrap up their careers without much idea of what their day-to-day life will be like once they retire. Some picture an endless Saturday. Others wonder if they will lose their sense of purpose (and self) away from work. Remember that retirement is a beginning. Ask yourself what you would like to begin doing. Think about how to structure your days to do it, and how your day-to-day life could change for the better with the gift of more free time. 5. How will you take care of yourself? What kind of health insurance do you have right now? If you retire prior to age 65, Medicare will not be there for you. Check and see if your group health plan will extend certain benefits to you when you retire; it may or may not. If you can stay enrolled in it, great; if not, you may have to find new coverage at presumably higher premiums. Give your retirement strategy a second look as the transition approaches. Review it in the company of the financial professional who helped you create and refine it. An adjustment or two before retirement may be necessary due to life or financial events. This material was prepared by MarketingPro, Inc., and does not necessarily represent the views of the presenting party, nor their affiliates. This information has been derived from sources believed to be accurate. Please note – investing involves risk, and past performance is no guarantee of future results. The publisher is not engaged in rendering legal, accounting or other professional services. If assistance is needed, the reader is advised to engage the services of a competent professional. This information should not be construed as investment, tax or legal advice and may not be relied on for the purpose of avoiding any Federal tax penalty. This is neither a solicitation nor recommendation to purchase or sell any investment or insurance product or service, and should not be relied upon as such. All indices are unmanaged and are not illustrative of any particular investment. Investments seeking to achieve higher rate of return also involve a higher degree of risk. How do you save for retirement? Two options probably come to mind right away: the IRA and the 401(k). Both offer you relatively easy ways to build a retirement fund. Here is a look at the features, merits, and demerits of each account, starting with what they have in common. 1. Taxes are deferred on money held within IRAs and 401(k)s.
2. IRAs and 401(k)s also offer you another big tax break. 3. Generally, the I.R.S. penalizes withdrawals from these accounts before age 59½. 4. You must make annual withdrawals from 401(k)s and traditional IRAs after age 70½. 1.Annual contribution limits for IRAs and 401(k)s differ greatly. 2. Your employer may provide you with matching 401(k) contributions. 3. An IRA permits a wide variety of investments, in contrast to a 401(k). 4. You can contribute to a 401(k) no matter how much you earn. 5. If you leave your job, you cannot take your 401(k) with you. 6. You cannot control 401(k) fees. All this said, contributing to an IRA or a 401(k) is an excellent idea. In fact, many pre-retirees contribute to both 401(k)s and IRAs at once. Today, investing in these accounts seems all but necessary to pursue retirement savings and income goals. Why striving to stay in the workforce a little longer may make financial sense. The median retirement age for an American woman is 62. What if more women worked into their mid-sixties? Staying in the workforce longer may improve a woman’s retirement prospects. 1. More years at work leaves fewer years of retirement to fund. Many women are worried about whether they have saved enough for the future. Two or three more years of income from work means two or three years of not having to draw down retirement savings. 2. Retirement accounts have additional time to grow and compound. Tax-deferred compounding is one of the greatest components of wealth building. The longer a tax-deferred retirement account has existed, the more compounding counts. A longer career also offers a chance to improve Social Security benefit calculations. Some women interrupt their careers to raise children or care for family members or relatives. In addition, waiting to claim Social Security benefits after age 62 also results in larger monthly Social Security payments. Working longer might help a woman address major retirement concerns. It is an option worth considering, and its potential financial benefits are worth exploring. The long-term trend is that more people are working at older ages, as seen in the top chart. Even so, with the large increase in the age 65+ population shown in the grey shading, there will be more people than ever stopping work in the coming years. The bottom chart shows the reasons for working in retirement, or after they typically have retired from their primary career. It indicates that the definition of retirement is changing, as more people are working due to positive reasons such as wanting to stay active and socially engaged more so than for financial reasons. 1. How long do you think you will live? 2. Will you keep working? You might not want to work too much, for earning too much income can result in your Social Security being withheld or taxed. 3. When does your spouse want to file? 4. How much in benefits might be coming your way? The age at which one claims Social Security greatly affects the amount of benefit received. Key claiming ages are 62, full retirement age (FRA is currently 66 and 4 months for today’s 62-year-olds) and 70, as shown in the row of ages in the middle of the slide. The top three graphs show the three most common ages an individual is likely to claim and the monthly benefit he or she would receive at those ages. Claiming at the latest age (70) provides the highest monthly amount but delays receipt of the benefit for 8 years. Claiming at Full Retirement Age, 66 and 4 months, or 62 years old provides lesser amounts at earlier ages. The grey shading between the bar charts represents the ages at which waiting until a later claim age results in greater cumulative benefits than the earlier age. This is called the breakeven age. The breakeven age between taking benefits at age 62 and FRA is age 76 and between FRA and 70 is 80. Not shown is the breakeven between 62 and 70, which is 79 (78 and 6 months). Along the bottom of the page, the percentages show the probability that a man, woman or one member of a married couple currently age 62 will reach the specified ages. Comparing these percentages against the breakeven ages will help a beneficiary make an informed decision about when to claim Social Security if maximizing the cumulative benefit received is a primary goal. Note that while the benefits shown are for a high-income earner who maxes out their Social Security taxes each year (income of $128,700 in 2018), the breakeven ages would hold true for those at other income levels. Does your vision of retirement align with the facts? Here are some noteworthy financial and lifestyle facts about life after 50 that might surprise you. Up to 85% of a retiree’s Social Security income can be taxed. Retirees get a slightly larger standard deduction on their federal taxes. Retirees can still use IRAs to save for retirement. A significant percentage of retirees are carrying education and mortgage debt. As retirement continues, seniors become less credit dependent. About one in three seniors who live independently also live alone. Around 64% of women say that they have no “Plan B” if forced to retire early. Few older Americans budget for travel expenses. What financial facts should you consider as you retire? What monetary realities might you need to acknowledge as your retirement progresses from one phase to the next? The reality of retirement may surprise you. When it comes to retirement, the more information you have, the better. As households transition into retirement, time that had been spent working now is available for other pursuits. Individuals often enter retirement having spent too little time determining how they plan to spend this time – and run the risk of spending time and money pursuing activities that may not prove to be as fulfilling as they had anticipated. “Practicing retirement” can be a good way for individuals to try out interests in advance so that they are more likely to use their time and resources wisely. Older individuals tend to spend more time caring for other adults in their household, volunteering and focusing on their finances. Here’s why many people choose annuities for for retirement income, and what prospective annuity holders should consider. Imagine an income stream you cannot outlive. That sums up the appeal of an annuity. If you are interested in steady retirement income (and the potential to defer taxes), you might want to look at the potential offered by annuities. Before making the leap, however, you must understand how they work. Just what is an annuity? Annuities can be either immediate or deferred. Annuities can be fixed or variable. In addition, some annuities are indexed. Annuities require a long-term commitment. Deferred annuities offer you the potential for great tax savings. Please note that annuities come with minimums and fees. No investment is risk free, but an annuity does offer an intriguing investment choice for the risk averse. If you are seeking an income-producing investment that attempts to either limit or minimize risk, annuities may be worth considering. 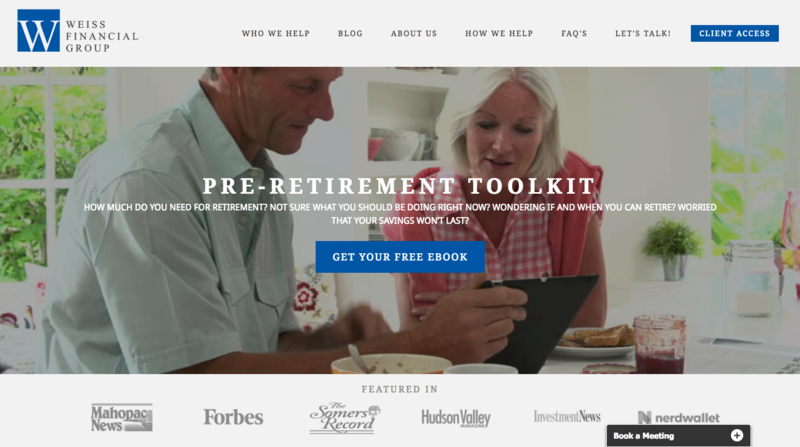 Which Retirement Savings Vehicle Should You Use: Traditional IRA or Roth IRA? Both kinds of IRAs share many similarities, and yet, each is quite different. Let’s take a closer look. What are your options for insuring yourself prior to age 65? If you retire before age 65, you must be prepared to address two insurance issues. One, finding health coverage in the period before you can sign up for Medicare. Two, finding a way to pay for that coverage. You know it will probably be expensive, but do you realize just how expensive? If you find yourself in this situation, what are your options? It is time to examine a few. You could retire gradually or take a part-time job with access to a group health plan. Ask your employer if a phased retirement is possible, so you can maintain the coverage you have a bit longer. Securing part-time work with health benefits elsewhere could be a tall order, as it may be much tougher to find a job in your early sixties; not all employers value experience as much as they should. You could turn to the health insurance exchanges. You could arrange COBRA coverage. You might be lucky enough to secure retiree health insurance. As a last option, you could move to another country (or state). Review these options before you retire. See how the costs fit into your budget. Have a conversation about this topic with an insurance or financial professional, because you may end up leaving work years prior to age 65. Your approach to building wealth should be built around your goals & values. Just what is comprehensive financial planning? As you invest and save for retirement, you may hear or read about it – but what does that phrase really mean? Just what does comprehensive financial planning entail, and why do knowledgeable investors request this kind of approach? Comprehensive financial planning is holistic. It is about more than “money.” A comprehensive financial plan is not only built around your goals, but also around your core values. What matters most to you in life? How does your wealth relate to that? What should your wealth help you accomplish? What could it accomplish for others? Comprehensive financial planning considers the entirety of your financial life. Your assets, your liabilities, your taxes, your income, your business – these aspects of your financial life are never isolated from each other. Occasionally or frequently, they interrelate. Comprehensive financial planning recognizes this interrelation and takes a systematic, integrated approach toward improving your financial situation. Comprehensive financial planning is long range. It presents a strategy for the accumulation, maintenance, and eventual distribution of your wealth, in a written plan to be implemented and fine-tuned over time. What makes this kind of planning so necessary? If you aim to build and preserve wealth, you must play “defense” as well as “offense.” Too many people see building wealth only in terms of investing – you invest, you “make money,” and that is how you become rich. That is only a small part of the story. The rich carefully plan to minimize their taxes and debts as well as adjust their wealth accumulation and wealth preservation tactics in accordance with their personal risk tolerance and changing market climates. Basing decisions on a plan prevents destructive behaviors when markets turn unstable. A comprehensive financial plan is a collaboration & results in an ongoing relationship. Since the plan is goal-based and values-rooted, both the investor and the financial professional involved have spent considerable time on its articulation. There are shared responsibilities between them. Trust strengthens as they live up to and follow through on those responsibilities. That continuing engagement promotes commitment and a view of success. Think of a comprehensive financial plan as your compass. Accordingly, the financial professional who works with you to craft and refine the plan can serve as your navigator on the journey toward your goals. Planning for retirement can be overwhelming as individuals navigate various retirement factors over which we have varying levels of control. There are challenges in retirement planning over which we have no control, like the future of tax policy and market returns, and factors over which we have limited control, like longevity and how long we plan to work. The best way to achieve a secure retirement is to develop a comprehensive retirement plan and to focus on the factors we can control: maximize savings, understand and manage spending and adhere to a disciplined approach to investing. Future financial needs may be underestimated. Should any Gen Xer retire with less than $500,000? Many Gen Xers are staring at two retirement planning shortfalls. How many Gen Xers have Health Savings Accounts (HSAs)? Retirement is less than 25 years away for most of the members of Generation X. For some, it is less than a decade away. Is this generation prepared for the financial realities of life after work? Traditional pensions are largely gone, and Social Security could change in the decades to come. At midlife, Gen Xers must dedicate themselves to sufficiently funding their retirements and squarely facing the financial challenges ahead.